Receive a no-obligation referral to an experienced, competent mortgage loan professional that serves Massachusetts or New Hampshire. You can receive a pre-approval letter for free and without any obligation and have your questions about loan programs and the mortgage process answered. Even if you are just starting your home search, obtaining a pre-approval letter is wise. No seller seriously will consider an offer that isn't presented along with a recent pre-approval letter. In addition to having one step of the home-buying process completed, it is an opportunity to learn about the many home loan programs that are available and to have many common questions answered. • Do you qualify for a first-time home buyer program? • Are there low down payment loans available? 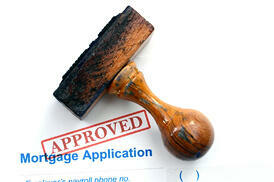 • Is your credit score high enough to get a mortgage? • What if I don't have a 20 percent down payment? Please fill out the form on this page, so you can learn about first-time home buyer and other loan programs that you may qualify for.